Rated R for disturbing violent content, and for some language. The men and women profiled in Matthew Heineman’s “City of Ghosts” are certainly haunted. They look at photos of the people who have died in their hometown of Raqqa and they question whether or not everything they’ve done to shine a spotlight on the horrific situation there has been worth it. And, in a sense, they are ghosts as well, haunting the new residents of their home from afar, doing everything they can to destroy their hateful regime. Coming on the crest of a wave of documentaries about Syria this year, including “Cries From Syria,” “The White Helmets” and “Last Man in Aleppo,” “City of Ghosts” doesn’t feel like it has the impact of Heineman’s previous film, the searing “Cartel Land,” but it is still a worthwhile examination of the importance of an institution currently under siege around the world: journalism. Don’t get me wrong. I would never directly compare what the talking heads on American cable news do to the courageous acts of the men and women of the group Raqqa is Being Slaughtered Silently (RBSS). But I do wonder what the current assault on journalism—externally from people like the President and internally from corporate control of the world of media and what that does to integrity—does to the next generation. When I grew up, journalism was still esteemed and deemed essential to a functioning democracy. Kids today aren’t being given that message, no matter what you think of CNN or #FakeNews, and that’s going to have an impact. 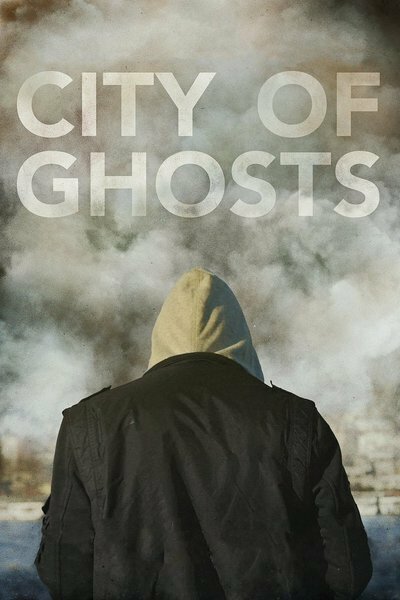 “City of Ghosts” serves as a stark reminder that journalism not only matters, but it is essential to fighting evil, which cannot flourish as easily in a spotlight. “In my opinion, a camera is more powerful than a weapon,” says one of the RBSS members profiled in “City of Ghosts,” all of whom have had to flee the city of Raqqa and coordinate coverage of what’s happening there from afar. They have safe houses in Turkey and Germany, at which most of the documentary unfolds, and from which they remain in contact with undercover reporters in the wartorn city. During the Syrian Civil War in 2013, ISIS took Raqqa, making it the center of recruitment for their cause and training for their soldiers. Consequently, the city has been virtually destroyed, both by the ISIS and by the Syrian, Russian, and U.S. governments attacking it. RBSS realized how little was being reported on the conditions in Raqqa, and fought back, posting stories and videos that defy the ISIS propaganda. One of the most interesting aspects of “City of Ghosts” is how important production values are to a cause. ISIS took off with recruiting when it upgraded its videos, turning them into riffs on “Grand Theft Auto” that promise kids with little hope or future an adventure for a cause in which they can believe. RBSS fights back with similarly high degrees of production in their videos and stories, most with confrontational headlines like “Children Are ISIS’s Firewood.” It’s a media war with recruitment on one side and exposure on the other. While “Cartel Land” plummeted us into the violence of a terrifying part of the world, “City of Ghosts” maintains an interesting distance as we spend most of the film in Turkey and Germany. The few RBSS members still in Raqqa can’t be identified, of course, and they struggle even to get information out of the city, especially after ISIS starts tearing down satellite dishes. They’re literally turning an entire city into an ISIS stronghold, killing anyone who disagrees. The fact that there are people in other countries trying to destroy their tyranny through information must infuriate them, and, again, it reminds one why journalism matters as much now as it ever did. In a truly interconnected world, we should all know about what’s happening in Raqqa and know about the courage of RBSS in reporting on it. In a sense, the film sometimes feels like both an exaltation and an indictment in that the story of Raqqa is STILL underreported in an American journalism industry more interested in Crossfire-style arguments than international news. Even though it’s a doc, I would never spoil exactly what they are but “City of Ghosts” ends with two scenes that really capture what Heineman is going for. In one, a man resembles more of a ghost, shaking after another reminder of his lack of safety and looking at photos of the friends and fellow journalists he’s lost. But Heineman doesn’t end there. He tacks on an epilogue that reminds us all of the cycle of life and the importance of fighting. We should be thankful there are people who haven’t given up.